Should you advertise on Facebook’s Audience Network? This week, Facebook’s Audience Network made headlines again through Facebook using the network to deliver television advertising on selected connected networks. Although the roll-out of this (if it ever happens) is a long way away, it might have prompted you to ask whether you should be advertising via Facebook’s Audience Network. This blog post is designed to help you decide whether advertising on Facebook’s audience network is right for you and your clients. What is Facebook’s Audience Network? 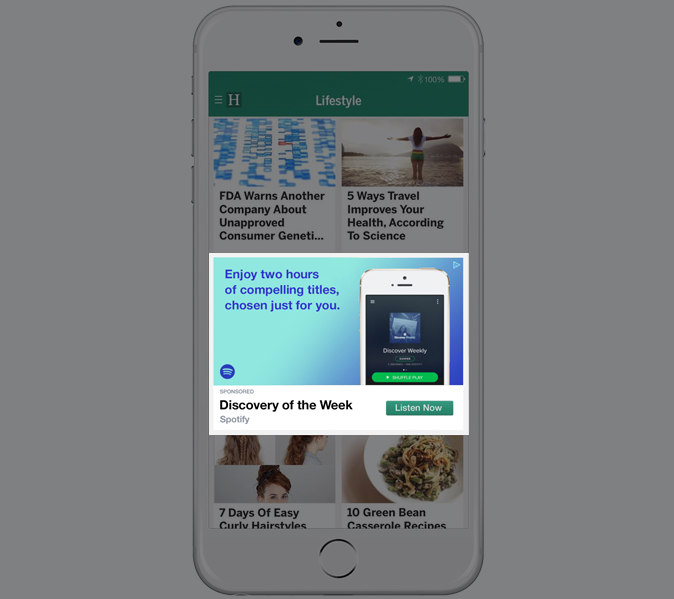 Essentially, the Audience Network is a display ad network run by Facebook, comprising of a variety of mobile placements from apps and websites. You can learn more about the type of content your ads might appear in on the Audience Network here. What are the benefits of Facebook’s Audience Network? The audience network allows you to reach Facebook users when they aren’t on Facebook, and even allows you to reach people who are not Facebook members at all, because of the data Facebook have gathered from third party sites and apps. This means it can expand the reach of your campaigns significantly, which makes it ideal if you have high reach objectives or a small niche audience which you need to reach because it provides you with additional opportunities to reach them. Facebook claim that the Audience Network is virtually fraud-free and doesn’t have bot traffic, which if true, makes it a reliable ad platform on which to be spending your advertising budget. 80% of Audience Network impressions are now native, which makes it a great platform to reach your audience in a way that isn’t as intrusive as traditional banner advertising. The Cost Per Click on the Audience Network is often lower than other placements such as Newsfeed, which means that if it does convert well for your brand or client, the conversions will often be very cost effective. Facebook are constantly trying to improve the content on the Audience Network, through something called ‘Advertiser Outcome Score’. This is feedback that publishers are given about how ads perform on their content, compared to the Newsfeed. This is designed to encourage publishers to then work to further improve their content to make the network better for advertisers. What are the negative aspects of Facebook’s Audience Network? Unlike the Google Display Network, there is no visibility of the exact content that your ads have been shown within. This means that you will never know exactly what content your ads have been shown next to. If your brand is particularly sensitive to the kind of content you would want your ads shown near, you might want to think twice before opting into the Audience Network as this is not something you’ll have much control over. There is no frequency cap on the Facebook Audience Network, which means you are unable to limit the number of times per day or week a user sees your ads. This could result in your ads becoming annoying to users if they see them too often. In comparison to this, the Newsfeed placement has a built-in frequency cap with a maximum of four views per day for users who like your Facebook page, and two views per day for those who do not like your Facebook page. 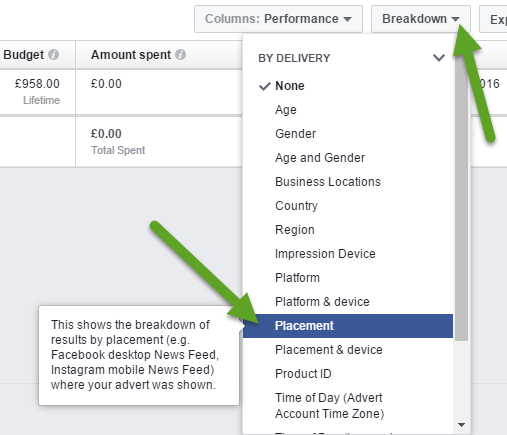 Keep an eye on the frequency of your ads (customise the columns in the reporting interface to include the frequency column) to ensure that your ads don’t become a nuisance by being shown at very high frequencies on the Audience Network. Split out the Audience Network into its own ad set if you have enough budget to do so. This is because the Audience Network is likely to convert at different rates compared to the other placements, and by having it in a separate ad set you can allocate it a separate budget based on its performance. Opt into the Audience network if you are targeting a very specific audience as this will help provide you with more opportunities to reach that small audience even when they are not on Facebook. With many advertisers saying they have experienced huge improvements in the performance of the Audience Network, now might be the time to try it out if you haven’t already, or give it another change if you have tried it in the past. Tara, thank you for the post. Have you noticed that Facebook’s Audience Network provides lots of clicks, but low quality? That’s definitely true. I just had a look at one of my websites’ stats and saw a big spike of visitors in a very short timespan after running a new campaign that includes FAN placement. All of those visits bounced right back (100% bounce rate!). Looks like they were either accidental clicks or (even worse) bot clicks.